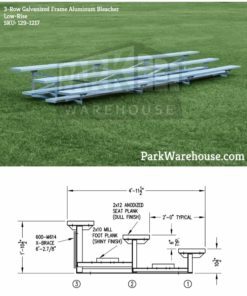 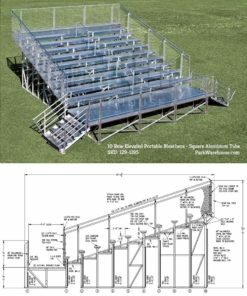 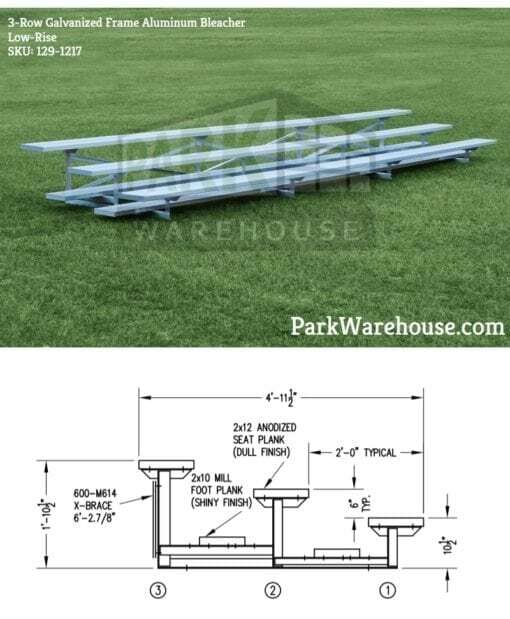 This is our 3-row, extra heavy-duty aluminum bleacher (planks & footboards) with a galvanized steel understructure (frame). 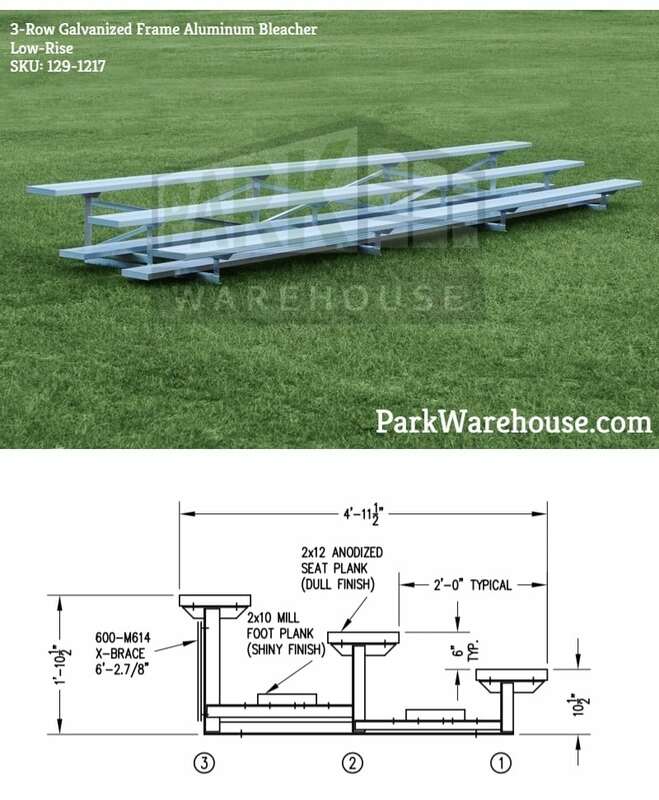 This bleacher is heavier than our all-aluminum bleachers. 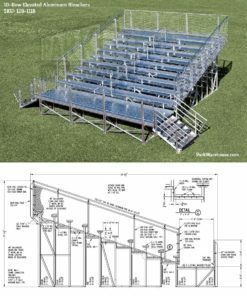 Galvanization is the process of dipping steel (e.g. 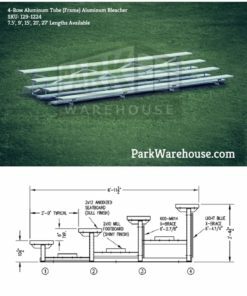 steel tube) in molten zinc to harden it and also make it rust-resistant. 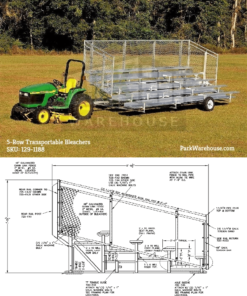 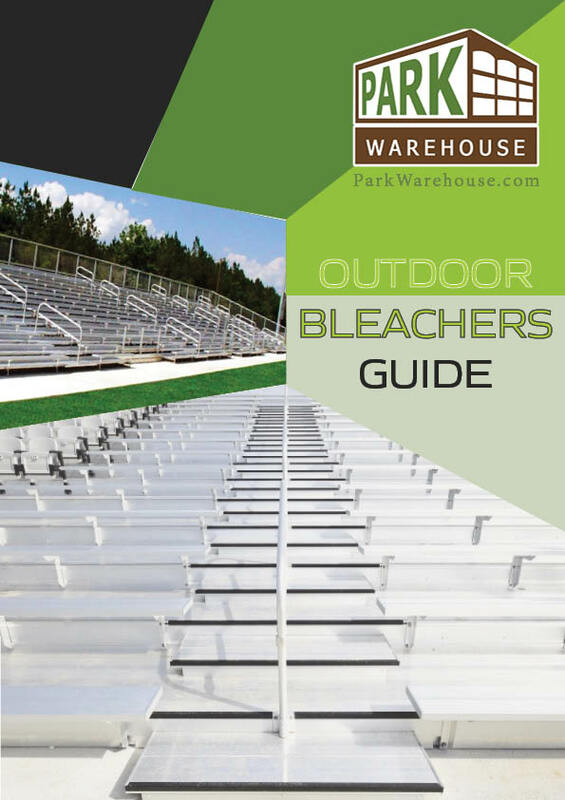 Our galvanized steel bleacher is IBC 2012 compliant and made in the USA.